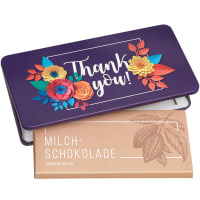 This is where we tell you more about Swiss chocolate bars in lovingly designed tins with a greeting, sweet chocolate ladybirds, the trendy gift tin of Minor Split and a man from Ticino who founded a famous chocolate factory. 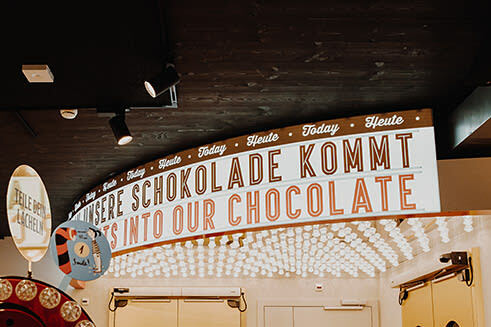 You will also learn more about the ingredients that go into our chocolate, how it is made, its history, why chocolate cheers you up and what chocolate is called in other languages. It's your girlfriend's birthday? Your beloved is ill? A colleague lent you his car? The best mum in the world cooked you dinner – again? 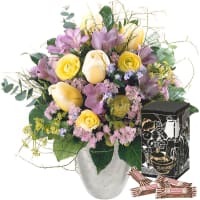 Then birthday wishes, a thank you or another heartfelt gesture are more or less a must. 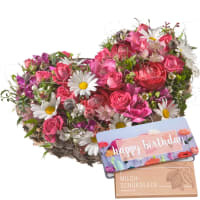 The colourful metal tin reading Happy Birthday, Thank you, Hello Sunshine or simply with hearts is a loving, personal touch suitable for any occasion. 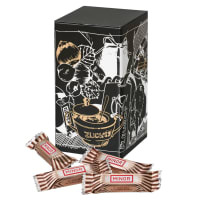 The bars of finest Munz Swiss milk chocolate in the tin (100 g) are deliciously sweet and creamy, made in Switzerland from premium ingredients that simply taste like more. 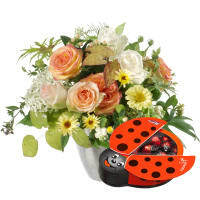 Flowers & chocolate in a gift tin? You'll find the shop HERE. 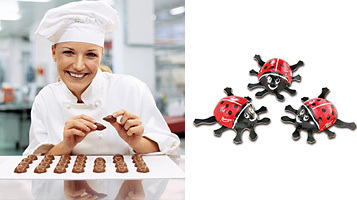 At first glance, the chocolate ladybird is a cheerful package in the form of a ladybird with wings that unfold. 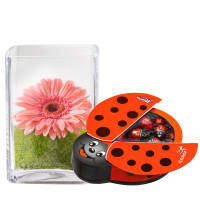 But when you open it – well, you really have struck it lucky because 32 little praline-filled ladybirds are smiling up at you, each one individually wrapped. 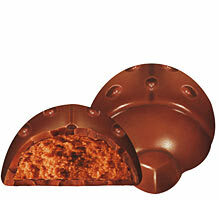 Together they make up 150 g of the finest Munz chocolate from the Swiss firm of Maestrani. Admittedly, there are other lucky charms. 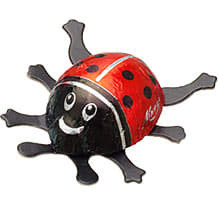 But few are as charming as the ladybird, particularly when it's made of the finest chocolate and is therefore delectable. 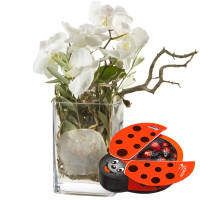 No wonder flowers with a chocolate ladybird are almost irresistible. 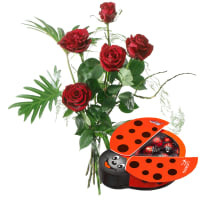 Flowers & chocolate ladybirds? You'll find the shop HERE. You're always spot on with these ever-popular little masterpieces, whether it's a little treat with a coffee, a reward during a busy day at work, a pick-me-up or just because you've got an insatiable sweet tooth. The contemporary Minor tin contains 110 g of Minor Split Minis (5 g each), each one a unique taste sensation thanks to the smooth nut cream on dark chocolate combined with crunchy hazelnut croquant. Of course, Minor Splits are made in Switzerland from premium natural ingredients and do not use palm oil. 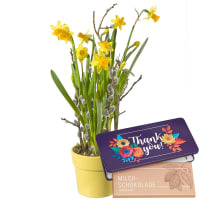 Flowers & Minor Split in a gift tin? You'll find the shop HERE. In the early 19th century, chocolate specialties from Lombardy were the height of fashion. 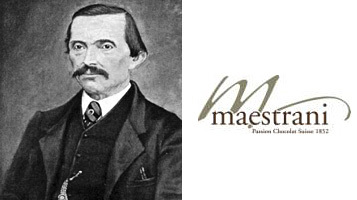 Giuseppe Maestrani of Ticino therefore went there to learn the art of chocolate making. When he became self-employed in 1825 and opened his doors for the first time in Lugano, his chocolate shop was one of only a few in Switzerland. Chocolate-making must have been in the family's blood. In 1852, his son Aquilino also took up this profession and opened his own firm in Lucerne after many years of learning and travelling. 1852 is therefore considered to be the actual year in which the present company was founded. 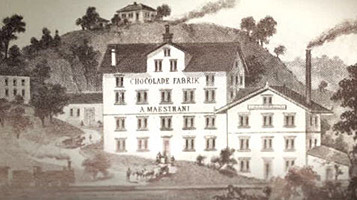 Maestrani was one of the first companies to make Swiss chocolate and, even then, Maestrani was synonymous with exquisite pleasure – also demonstrated by the fact that the company became a court supplier to King Umberto I of Italy in 1884. 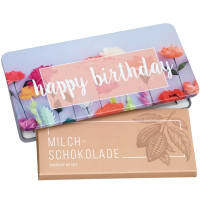 In 1998, the firm, by then a public limited company, purchased the chocolate factory Munz in Flawil and moved its headquarters to that location. By the way: Maestrani produces more than 25 million of the little Munz ladybirds every year, and punches out more than 150 million ladybird legs to do so. 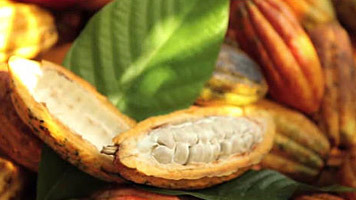 The company manufactures more than 3,600 tonnes of chocolate per year. 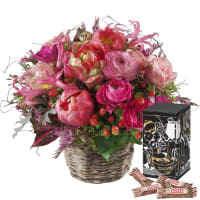 Flowers & chocolate? You'll find the shop HERE. 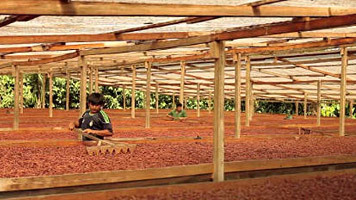 Maestrani has also been manufacturing carbon-neutral chocolate since 2013. From 2016, Maestrani has increased the proportion of main suppliers with their own sustainability programme to the current figure of 73%. 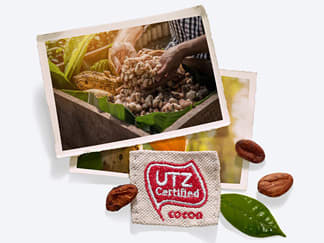 The proportion of certified sustainable cocoa products is 100%. Maestrani AG develops and produces its select range of chocolate exclusively in Switzerland and uses natural raw materials almost exclusively. Maestrani does not use artificial colourings in its chocolate, it has reduced artificial flavourings to the absolute essentials and has also continuously increased the proportion of organic raw materials. Last, but not least, the first stage of the new power plant has been commissioned that provides both the "Maestrani's Chocolarium" visitor centre and parts of the factory with power. The second stage of the new plant will supply the whole factory with power for its refrigeration and heating needs, thus significantly reducing direct and indirect CO2 emissions. It's clear to see that Maestrani does more than merely pay lip service to sustainability. The "lady" in ladybird actually refers to Our Lady. Because it eats pests in gardens and in agricultural crops, farmers believed it was a gift from the Virgin Mary and named it after her. They also made it into a symbol of luck. In Provence, for example, a man on whom a ladybird settles is destined to get married soon. If, however, women in that area are waiting for "Mr Right", they place a ladybird on their index finger and count the seconds until it flies away. Every second means a year to wait before the wedding. But you aren't allowed to shake one off or actually kill it, because that is said to bring bad luck. 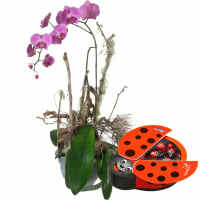 Ladybirds are used for much more today. Whether to wish someone a happy birthday, luck in a forthcoming exam or a happy day: you can't go wrong with ladybirds, particularly when they're a treat to eat. 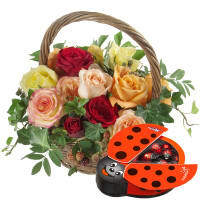 Flowers & chocolate ladybird? You'll find the shop HERE. When cocoa was discovered as a drink by the Mayas more than 3,000 years ago, its most important property was the foam. This was created by pouring the brew repeatedly from one vessel into another from a height of approximately 30 cm. 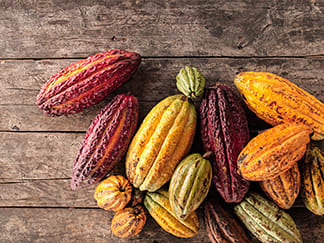 Xocolatl was said to dispel fatigue, which probably has something to do with the theobromine contained in cocoa. 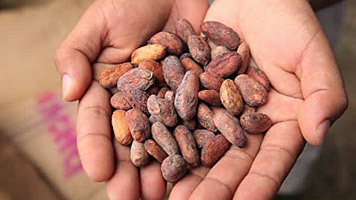 The first European to come across cocoa beans was Christopher Columbus. But it was Hernando Cortés who brought them to Spain. The first shipload reached Seville in 1585. The Europeans changed the beverage, which had previously been quite bitter, by leaving out cayenne pepper and salt and adding honey and cane sugar instead. 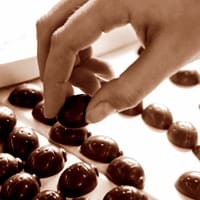 A little later, chocolate reached Piedmont in Italy through Catherine Michelle of Spain and Duchess of Savoy, and went on to conquer other countries that are part of Europe today. However, it was to be some time before it was produced in Switzerland. American writer Richard Paul Evans is supposed to have once said that "Chocolate is God's way of saying sorry for broccoli". Lots of people like broccoli, but the fact is that many people reach for chocolate not only because they like it but also if they are stressed or annoyed. Why? Well, chocolate contains substances that make you happy, such as tryptophan that the body converts into the happy hormone serotonin. Or anandamide that influences feelings of thankfulness, joy and happiness. Or even phenylethylene that is also associated with causing feelings of desire and happiness. Finally, the caffeine and theobromine found in chocolate are stimulants, so it's only logical that chocolate promotes feelings of pleasure. And flowers? They pack a punch too. 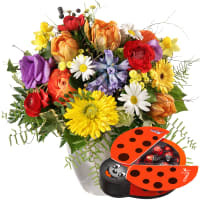 A study conducted by Rutgers University in New Brunswick (USA) has proved that flowers are also a natural mood lifter. Anyway, all participants in the study displayed a genuine smile and pleasure after receiving a gift of flowers. They also stated that they felt more zest for life. 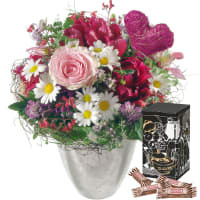 It also turned out that flowers deepen friendship. Chocolate makes you happy. But how does the happiness get into the chocolate? Join us on the sweetest journey of your life and discover the secret. 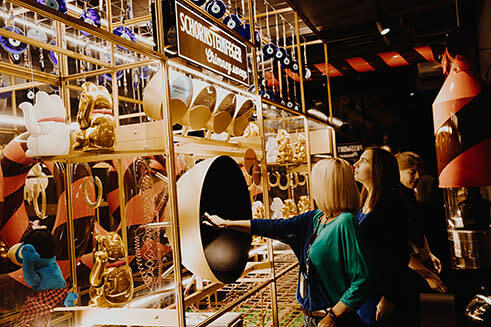 Maestrani's Chocolarium in Flawil is home to a very special interactive exploration that excites from the very start. 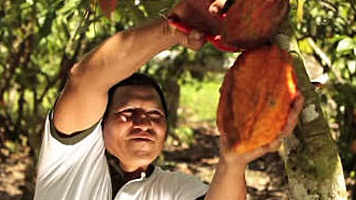 A seven-minute cinema presentation explains how chocolate is made. A "happiness hunter" takes the audience with him on a journey to cocoa plantations in Peru, where the employees work under fair conditions. So you can more or less guess that some happiness has already gone into the beans before they are loaded! The first stop on the tour explains the importance of raw materials to making good chocolate. 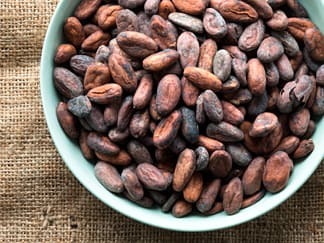 The cocoa beans and sugar beet first have to be harvested and milk obtained before you can bite into the delicious chocolate. You can try milking a cow and shaking a hazelnut bush for yourself. 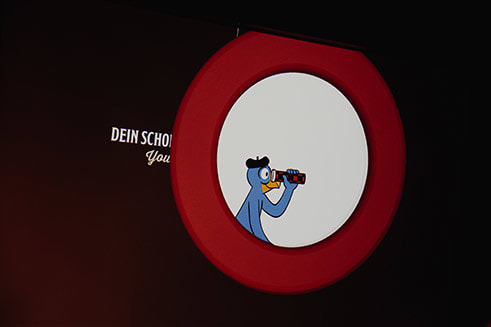 Throughout the interactive tour, there are also exhibits specifically for children, where Globi provides entertaining information suitable for them. Of course, you also get to taste the chocolate. 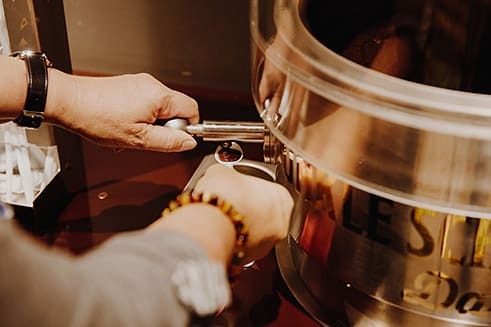 Towards the end of the tour, you can sample raw cocoa mass, liquid chocolate, delicious speciality chocolates and fresh, handmade chocolate straight from the confectioner – an unmissable, heavenly experience. Flowers & chocolate You'll find the shop HERE.